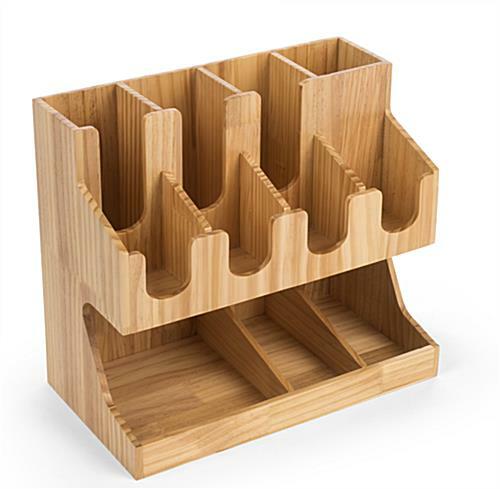 ENTER CODE FRCDM5 IN CART TO TAKE $5.00 OFF THIS ITEM! 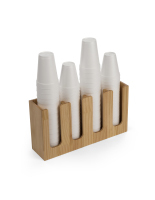 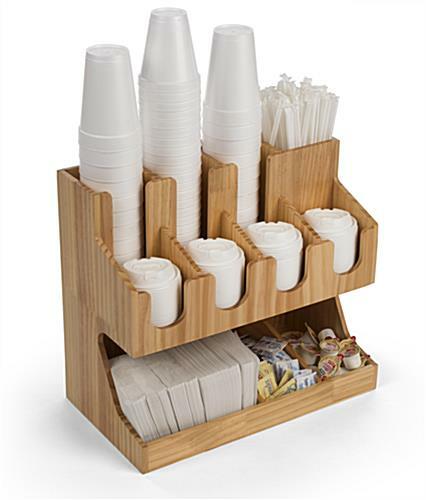 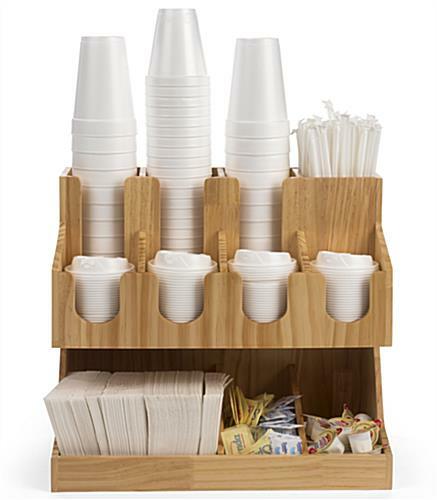 This wood coffee condiment station organizer has a three-tiered design that saves spaces on your countertop and collects all your single-serve restaurant supplies in one place. 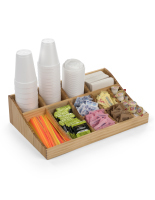 The wide front pocket can hold a variety of larger items, including napkins, beverage sleeves, and more. 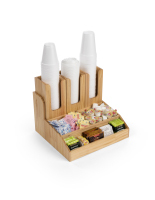 This countertop coffee condiment station organizer has a natural pine finish that lends itself well to modern interior décor and helps to foster a warm and comfortable atmosphere. 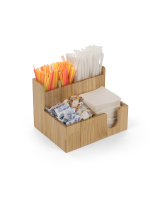 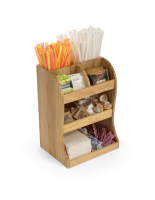 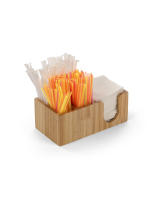 Cup and lid holder pockets with front cutouts and a dedicated straw compartment make this an ideal, all-in-one self-service café caddy. 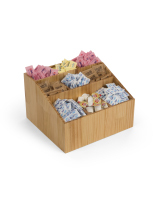 Stock extras like sugar packets, creamers, and tea bags in the front for easy access. 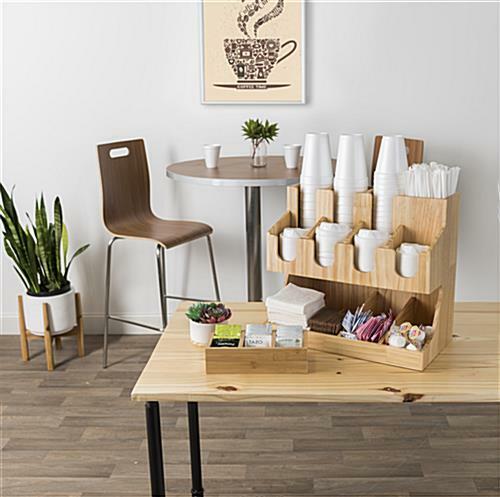 Use this coffee station organizer in your restaurant to provide convenience to guests and give your space a fresh, contemporary look. 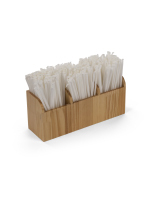 17.6" x 15.6" x 9.8"
4.0" x 5.0" x 3.9"
4.0" x 3.5" x 9.1"
8.1" x 3.5" x 9.1"
3.7" x 5.7" x 3.9"